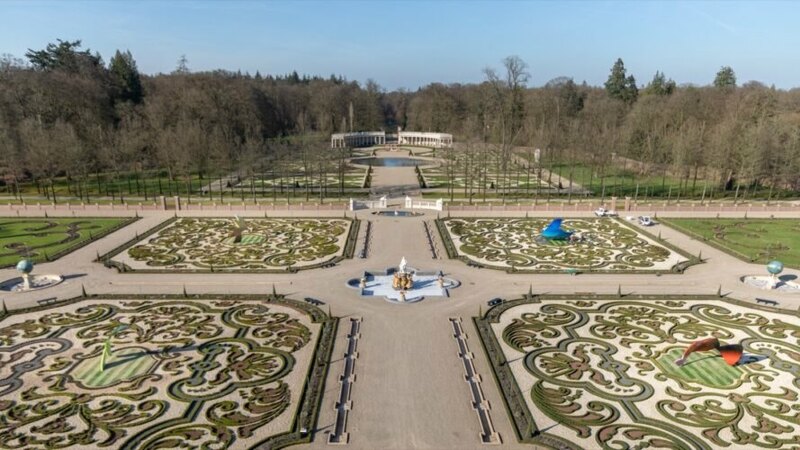 This spring, tapestry-like shrubbery and geometric flowerbeds won’t be the only highlights at the Het Loo Palace’s Dutch Baroque gardens. 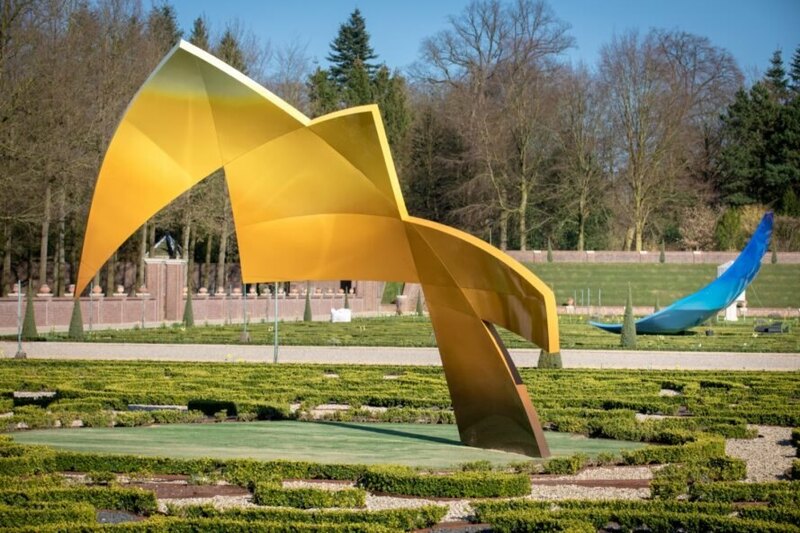 The palatial grounds in Apeldoorn, Netherlands recently opened a new climate change-inspired exhibit, ‘The Garden of Earthly Worries,’ featuring four monumental art installations designed by Polish-American architect Daniel Libeskind. 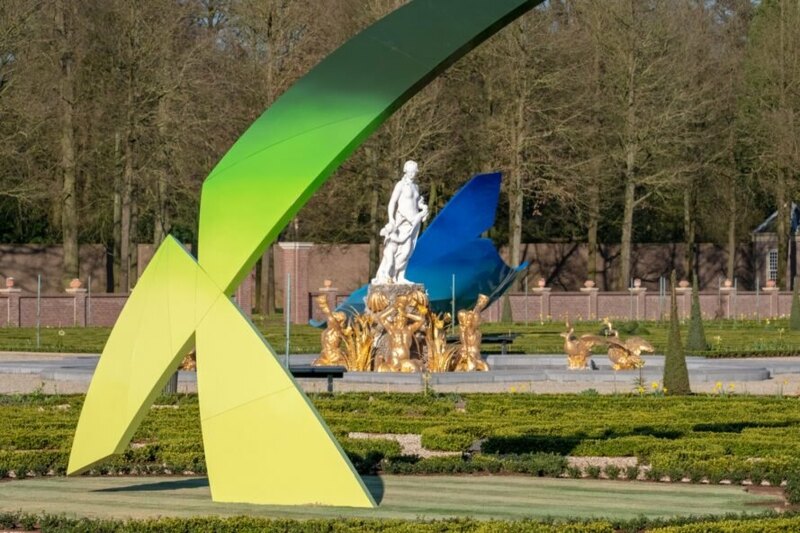 The exhibit showcases the first-ever contemporary installations on show in the gardens of Paleis Het Loo, which dates back to the late 17th century. ‘The Garden of Earthly Worries’ opened April 2, 2019 and will remain on display at the palace until mid-2021. Architect Daniel Libeskind of the New York-based Studio Libeskind is best known for his avant-garde buildings. His best-known portfolio pieces typically pertain to the arts and museums; however, he also famously won the competition to design the masterplan for the reconstruction of the World Trade Center in New York. In addition to architectural work, Libeskind has also created furnishings, fixtures, sculptures and even opera sets. Considered one of the most popular museums in the Netherlands, Museum Paleis Het Loo comprises a grand palace where the House of Orange-Nassau once lived, the symmetrical baroque gardens, the Stables Square and the palace park. The museum, which opened to the public in the 1980s after an extensive renovation, is now undergoing another major renovation and renewal slated for completion in 2021. Stables Square and the garden are open from April to September. 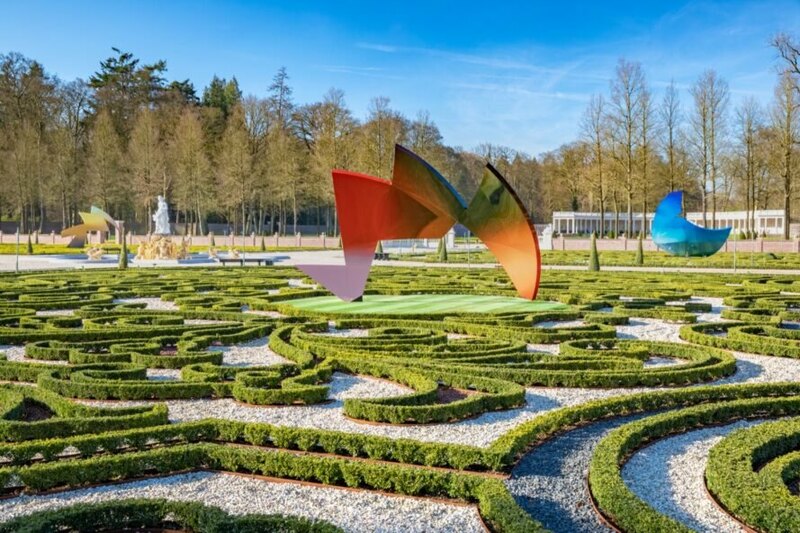 Well-known architect Daniel Libeskind has created a series of sculptures in the garden of Paleis Het Loo. The art is inspired by climate change. Each sculpture explores "the imbalance of humankind in nature." The sculptures represent fragmented pieces of a globe. The striking artworks draw attention the impact climate change has on the planet. 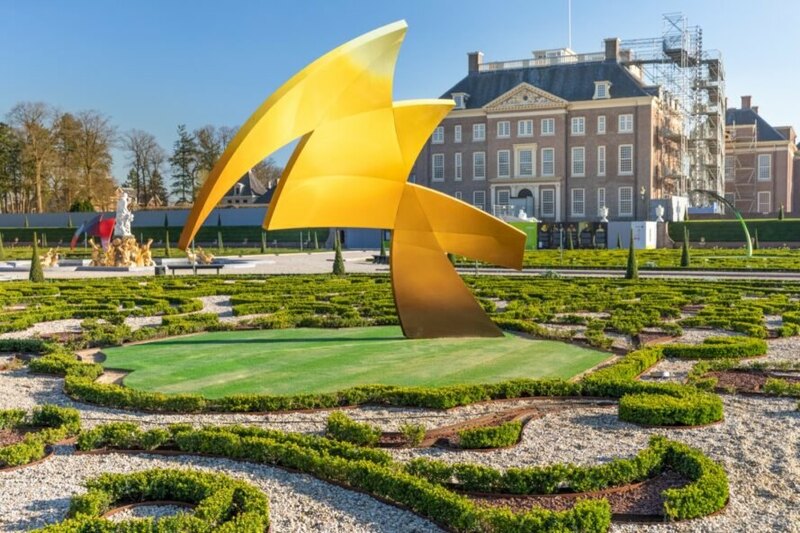 The exhibit is the first modern installation on show in the gardens of Paleis Het Loo. The contemporary art is situated in a setting that dates back to the 17th century. The Garden of Earthly Worries opened in early April. The sculptures will be on display through mid-2021.